Tumour is of two types. Benign Tumor and malignant tumour. A benign tumour doesn't put the life of the person at risk except in some situations, for example, benign tumour at heart valve may compromise cardiac function. 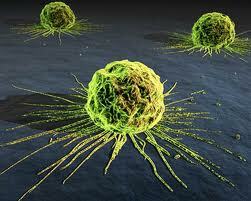 on the other hand, a malignant tumour may metastasize, invade and destroy the surrounding tissue and kills the person. The main differences between a malignant and benign tumour are given below. 5. It doesn't metastasize 5. It metastasizes and forms secondary tumours.